Qualification: The Candidates must possess a Bachelor degree in Engineering/ Technology or equivalent or a Master degree in Science, from the institutes recognized by UGC/ AICTE should qualifying degrees for each of the M.Tech. Equivalent courses: The candidates have to mention the name of the equivalent degree and discipline in the application form with the declaration that such program is a specialized discipline of the requisite qualification mentioned in the information brochure. Original certificate: The candidate has to produce the “certificate for degree equivalence”, issued by any of the certifying authorities like UGC, AICTE, AIU etc. Valid Score card: Candidates must have GATE score (remains valid at the time of Admission) in the appropriate GATE Paper or need to qualify the Entrance Examination conducted by IIT(ISM). Marking scheme: The candidates seeking admission to M.Tech. 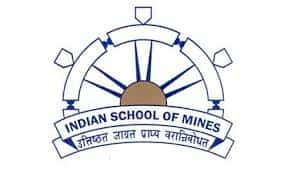 Programmes of the Institute should have Minimum 55% or CGPA/ CPI of 5.5 on 10 point scale (without rounding off) in the qualifying degree for UR/ OBC candidates or Minimum 50% or CGPA/CPI of 5.0 in 10 point scale (without rounding off) in the qualifying degree for SC/ ST candidates. Mandatory Subject: The candidate should pass higher secondary (10 + 2 level) with Mathematics or else they will not meet the eligibility criteria. Migration Certificate: The certificate regarding migration or College Leaving Certificate is to be provided. Non Sponsored candidates: The candidates who are other than sponsor must be below the age of 30 years (35 years for women, PWD, SC, ST & OBC (Non-creamy Layer) ) as on 20th April 2018. Sponsored candidates: The age for the sponsored candidates must be below 45 years (50-years for women, PWD, SC, ST & OBC-NCL) as on 20th April 2018. A candidate is required to submit a medical certificate signed by the Chief Medical Officer (CMO) an equivalent of a government hospital. A candidate will be allowed to take admission only if the certificate produced by the candidate is verified to be satisfactory by IIT (ISM) officials, whose decision in this regard will be final. The candidate's height must be 1.5 m and Weight ranges around 41 kg. The Chest measurement of the candidate is 69 cm and with Expansion 5 cm. The Vision Should be normal. If the candidate has a defective vision, it should be corrected to 6/9 in both eyes or 6/6 in the better eye. The Hearing capacity should be normal. The Heart and Lungs should not have any abnormality. There will be no history of mental diseases or epileptic fits. The Candidates must possess a Bachelor degree in Engineering/ Technology or equivalent or a Master degree in Science, from the institutes recognized by UGC/ AICTE should qualifying degrees for each of the M.Tech. The candidates have to mention the name of the equivalent degree and discipline in the application form with the declaration that such program is a specialized discipline of the requisite qualification mentioned in the information brochure. The candidates seeking admission to M.Tech. Programmes of the Institute should have Minimum 55% or CGPA/ CPI of 5.5 on 10 point scale (without rounding off) in the qualifying degree for UR/ OBC candidates or Minimum 50% or CGPA/CPI of 5.0 in 10 point scale (without rounding off) in the qualifying degree for SC/ ST candidates. The candidate should pass higher secondary (10 + 2 level) with Mathematics or else they will not meet the eligibility criteria. What is the Age limit for the sponsored candidates? The age for the sponsored candidates must be below 45 years (50-years for women, PWD, SC, ST & OBC-NCL) as on 20th April 2018. Click on the link to know more about Eligibility. What are the must subjects to apply for the exam?